The nursery is available on Main St. level of our church, during Sunday Worship (year around) and Sunday classes (by appointment) with approved personel. We ask that parents please provide a cell number for the nursery staff if they should need to page you during worship. For older children there are Activity Bags available on the hall tree in the overflow area of the Sanctuary. These bags contain white boards, children's bulletins and books to keep little ones busy during their time at worship. Parents may also take their little ones to our Cry Room (3rd floor balcony), which includes a small play area, overlooking the service. The church nursery will be made available for special worship services. 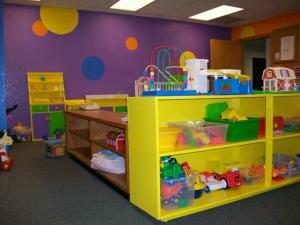 Please call Suzi at 792-1122, if a UMC sponsored event is needing the nursery to be staffed. EDGE offers weekly Sunday classes for children ages 3 up to fifth graders from mid-September to April. Lesson are age appropriate with the youngest children in their own learning group and the Kindergarten-Fifth graders in groups of two grades (i.e. Second & Third). Children's classes offer rotation lessons that vary week to week. Your child will experience different learning styles on each topic. Most rotations, averaging four weeks, include Biblical topics such as Noah's Ark or Parables. Learning rotations include: Art, Drama, Discovery/Science, Games, and Movie/News. One week your child may be learning through drama, and the next through science or music. Each week they will travel to a different room with their familiar teachers aiding them on their Bible journey. We encourage parents to volunteer in the classroom, but we also offer adult lessons during the Sunday School hour. Your child's safety is important to us, and staff back-ground checks are done by an IA UMC approved agency. Sunday School is such an important part of your child's walk in faith. We hope you make Sunday School a priority. Many class lesson plans are now built around videos, as this generation are visual learners. It is Suzi's dream to have flat screen smart TV's in every classroom to keep up with this trend. Check out page 5 & 6 of the parent newsletter for information on the Sunday School rotation.